Soon after publication on September 30, 1868, Little Women became an enormous bestseller and one of America’s favorite novels. Its popularity quickly spread throughout the world, and the book has become an international classic. When Anne Boyd Rioux read the novel in her twenties, she had a powerful reaction to the story. Through teaching the book, she has seen the same effect on many others. Louisa May Alcott’s Little Women turns 150 years old in 2018. There’s a new miniseries out (it’s…OK, given that it was largely shot in England and with English actors who have questionable American accents) and new editions of the book are popping up. Norton is also publishing Meg, Jo, Beth, Amy by Anne Boyd Rioux, which examines how Little Women came to be and why it has such staying power. This is a lovely overview of Alcott’s life, the publication history of Little Women, and how Alcott’s most famous creation has endured as a beloved work of American literature. Unless we’re talking about the “canon” and then “ugh, girl cooties” which is the basis for almost an entire chapter about why boys don’t/aren’t expected to/can’t read “girl books” even as girls are fully expected to read “boy books.” I spent almost that whole chapter yelling PREACH SISTER at my iPad. Boyd also gets into the many different adaptations to movie and television (my favorite: the 1994 adaptation with Susan Sarandon, don’t @ me). Meg, Jo, Beth, Amy is out August 21. A bewitching new novel of family and self-discovery from the best-selling, award-winning author of A Spool of Blue Thread. Willa Drake can count on one hand the defining moments of her life. In 1967, she is a schoolgirl coping with her mother’s sudden disappearance. In 1977, she is a college coed considering a marriage proposal. In 1997, she is a young widow trying to piece her life back together. And in 2017, she yearns to be a grandmother, yet the prospect is dimming. So, when Willa receives a phone call from a stranger, telling her that her son’s ex-girlfriend has been shot, she drops everything and flies across the country to Baltimore. The impulsive decision to look after this woman and her nine-year-old daughter will lead Willa into uncharted territory–surrounded by eccentric neighbors, plunged into the rituals that make a community a family, and forced to find solace in unexpected places. A bittersweet, probing novel of hope and grief, fulfillment and renewal, Clock Dance gives us Anne Tyler at the height of her powers. After reading Clock Dance twice, it falls somewhere between a 3 and a 4 book for me. I’d never read Anne Tyler before – she has a very nice writing style – but I wasn’t super-jazzed by the actual story of Willa and her life choices. She was so blah in the space between Chapter 1 and maybe the last 20 pages. I’m pretty sure my favorite character was Airplane, the dog. However, I was the bookseller leading our Book Club discussion last night and I was intrigued to hear from others about this book. A number of participants were older women (50-60+) who are or had been married who had decided opinions about Willa’s marriages and how she related to her husbands and sons. Some sympathized with her, some did not. Some felt she was trapped, some that she was too comfortable and inclined to accept the status quo. I think Clock Dance is very much a novel where your mileage may vary, depending on your situation. Dear FTC: I read a digital galley and a paper galley from the publisher. I do love me a mystery/puzzle story set in a bookshop. 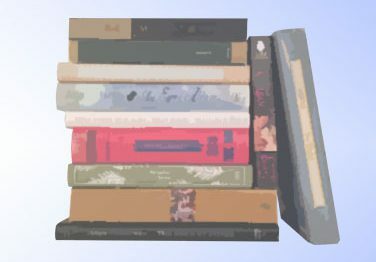 The Bookshop of Yesterdays is a compulsively readable upmarket novel about a history teacher who inherits her uncle’s bookshop, its attendant problems, and a literary scavenger hunt. And blows the lid off alllllllll her family drama. Note: the longer you keep secrets the bigger the bomb when uncovered. Although, if you are like me, you’ll probably guess the secret immediately but still enjoy watching the characters in the book slowly catch up to you. 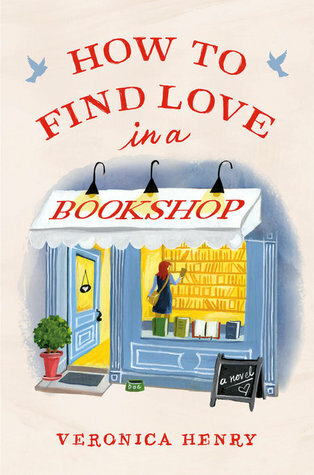 The Bookshop of Yesterdays is out June 12. Dear FTC: I read a digital galley of this novel from the publisher via Edelweiss. This is going to be a quick review, since I’m leading the Book Club tonight at work and I don’t want to work over my opinion too much ahead of time. But I did read it twice. Five stars for the sentences. I love me a Meg Wolitzer sentence. She also has one of the most simple, moving paragraphs about grief in Chapter Six in the exchange between Cory and the taxi driver. Three stars for plot: This is OK. It’s a perfectly fine story, which is worth discussing in its critique of white and/or privileged feminism and mentorship and whether that critique is successful but I feel like the story took no risks. The characters told us nothing new, except to always be wary of holding our idols too dear. Thanks to Riverhead for sending the galley copy. Dear FTC: I read a galley sent by the publisher to my store. Sue at Doddy About Books is hosting this week’s tag which is Favourite Women Writers Across Multiple Genres. Pick your favourite genres and tell us about your favourite female authors writing within them (or around them or across them!) Anyone can play – just pop your link in the linky at Sue’s page. Jane Austen, 5ever. I will never tire of re-reading Austen’s work, from the ridiculousness of her Juvenilia to the beauty of Wentworth’s letter in Persuasion. Even the letters, because I always want to kick Cassandra in the shins for destroying so many letters. There are so many layers to her books I will never find something new on each reading. Other perennial favorites are Anne Brontë, Charlotte Brontë (sorry, Emily fans – don’t @ me), George Eliot, Elizabeth Gaskell (oh, North and South, I do love thee, also your adaptation), and Edith Wharton. This is where I lose my bananas over Possession by A.S. Byatt. It is by far my favorite novel by Byatt. On each reading I am convinced anew that Randolph Henry Ash and Christabel LaMotte are not merely derivatives of Robert Browning and Christina Rossetti invented for the purposes of the narrative but real poets who actually existed in Victorian England. Possession allows you to time travel, with out actually using the time travel trope by moving brilliantly between the Victorian and late twentieth-century settings. It is a literary mystery hidden within a poetry collection within a love story. All of Byatt’s novels and stories have these deeply textured, rich characters and settings – The Children’s Book, The Virgin in the Garden, Angels and Insects, and so on. Another favorite lit-fic author is Margaret Atwood. If your only exposure to Atwood is from The Handmaid’s Tale (social dystopia), try the Maddaddam trilogy (environmental dystopia, which didn’t start out with that trilogy name), Alias Grace (ghost story), Hag-Seed (retelling of The Tempest as part of the Hogarth Shakespeare series), Bodily Harm (woman trying to keep her life together), or Surfacing (a thriller….perhaps?). I can’t mention the romance genre without introducing you to the Grande Dame and Grandmother of the historical romance genre, Georgette Heyer. She is the woman who conjoined the social novel of Jane Austen, with all attendant historical details, to the marriage plot of the twentieth-century. The modern historical romance machine owes its existence to the woman who gave us the Duke of Avon (think the Vicomte de Valmont from Dangerous Liaisons but not a jerk and also English) in These Old Shades. Start with Venetia (Regency) or The Convenient Marriage (Georgian) and if you can get the audiobooks read by Richard Armitage (aka Thorin Oakenshield and John Thorton), do that. I have a laundry-list of authors who I auto-buy in the romance genre: Eloisa James, Tessa Dare, Sarah MacLean, Maya Rodale, Cat Sebastian, Alisha Rai, Alyssa Cole, and Elizabeth Hoyt. Probably more. The Nook account, it explodeth with goodness. Y’all, I do not need to explain Agatha Christie to you. Some of her books don’t age as well (I forget that some of the plots turn on some casual racism and then I am that literal grimace face emoji) but the brilliance of plots like Murder on the Orient Express, 4:50 from Paddington, And Then There Were None, and The Murder of Roger Ackroyd can never be equaled. Now, if you like Christie novels, and want to stay with a contemporaneous writer but want sleuths with more flaws, I recommend Dorothy Sayers, creator of the shell-shocked Lord Peter Wimsey (The Nine Tailors will give you a mini-education in the uniquely English art of change-ringing) and mystery writer Harriet Vane (Gaudy Night contains a capsule portrait of a women’s college at Oxford in the 1930s). Some of my favorite modern mystery writers are Tasha Alexander, Laurie R. King, and P.D. James (who I share a birthday with). Have you met Ann Leckie? Check out Ancillary Justice, the revenge plot of a massive starship AI now contained with in a single, fragile humanoid body. This is an genre where I’m a little light on “favorites” because I own loads of SFF books….but just haven’t read them. Or I’ve read one book from an author, but not any others. Project Overdue Reads, you are being paged. Dana Simpson burst into my reading lineup last year with her Phoebe and Her Unicorn webcomic series. You can start with the first actual OGN, The Magic Storm, but I totally recommend just going back to the beginning – they read VERY fast. Other favorite writers/illustrators include Lucy Knisley and Sarah Andersen. A favorite writer of comics is G. Willow Wilson, creator of the awesome Ms. Marvel series, and I will read anything she writes. A favorite illustrator I’ve followed from series to series is Fiona Staples. Because this post is getting very long, I’m going to do a quick round-up of favorite non-fiction writers spanning memoir, humor, personal essay, science, and women’s studies. And that’s it for this week! Kick off Women’s History Month with some of your favorite authors.